I took that photo with my iPhone from inside our hotel in Mumbai. The great eggfly mimics the crows, Euploea sp., of which I saw many in the city. 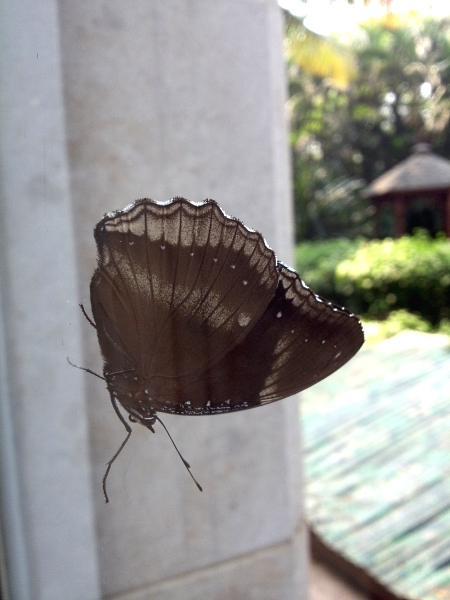 In fact, I'm not quite sure when I saw crows (common crow, E. core, I think) and when I saw eggflies!